Business IT Support, Computer Network Support, Computer Services in Collegeville, Conshohocken, King of Prussia, Malvern, Reading, Philadelphia | ETB Services, Inc.
With technology worries off the table, you’ll have the confidence and peace of mind to focus on more important things - like running your business. ETB Services is dedicated to providing quality, cost-effective business IT support to businesses that want to improve efficiency, get the most out of their technology, and increase their bottom line. With computer network support that is customized to meet the unique needs of your business, you never pay for technology you don’t want or need. Our programs provide you with the best technology support available in the industry, at a monthly fee that fits your budget. 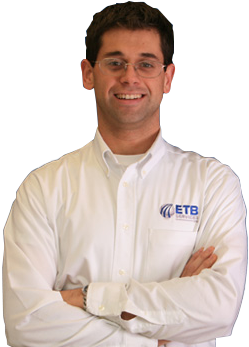 ETB has the cost-effective business IT support, backed by experts you can rely on. With computer network support and computer services that are designed and implemented with your business in mind, you can rest assured knowing you’ve made a good investment. Our commitment is to improving businesses with advanced technology in and around the Collegeville, Conshohocken, King of Prussia, Norristown, Malvern, Pottstown, Reading, and Philadelphia areas. "Have appreciated the attentive and professional help from your guys." With ETB Network Assurance, you transfer the day-to-day management of your technology to us. Learn how your business can benefit. Security: Is two-step authentication the only way?